The ground specialist plans on rising to the occasion when he battles the former Olympic wrestler Cejudo in Monterrey, Mexico tonight (Sat., Nov. 21, 2015). It’s not what you did, but what have you done for me lately and that’s something that No. 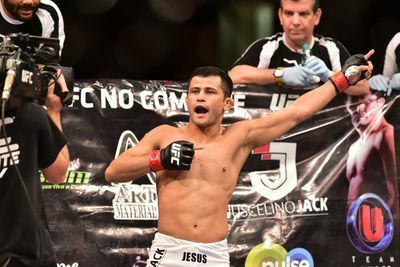 3-ranked Ultimate Fighting Championship flyweight Jussier Formiga takes seriously. That’s why the winner of three-in-a-row has his sights set on playing the role of spoiler against ex-Olympic wrestler Henry Cejudo at the UFC Fight Night 78 mixed martial arts (MMA) event tonight (Sat., Nov. 21, 2015) in Monterrey, Mexico.